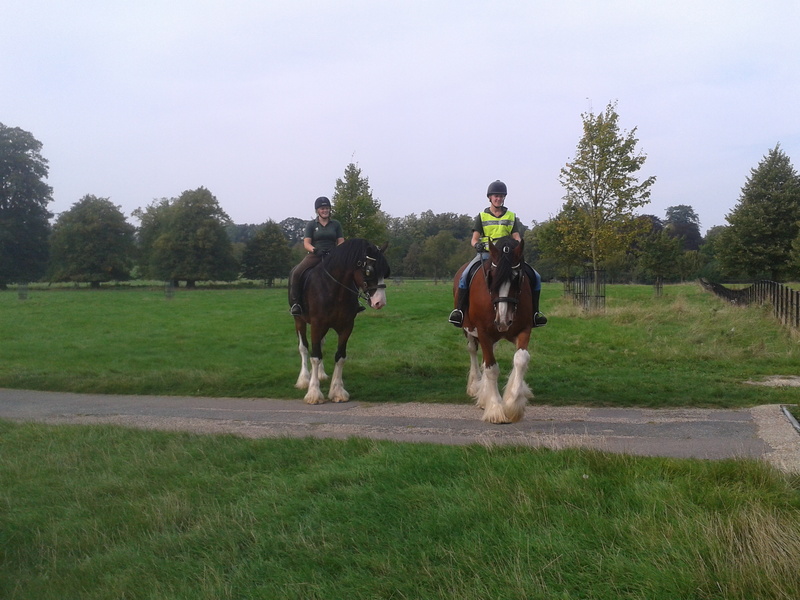 Two of our magnificent Shires being ridden on the estate yesterday. Emma the boss is resplendent in the high viz jacket and riding Jacob who is just over 8 years old. Next to Emma is Melissa our seasonal groom on her last day with us before returning to university. Melissa is riding Harry who is 6 years old. We all hope she will come back next year (including Harry). The shires are ridden as part of their exercise regime to keep them in tip top condition. I was there as gate operative and spoke to several visitors who told me: “what a wonderful sight it is to see such splendid animals around the estate”. Lots of our customers mentioned how much they enjoy seeing our Shire horses either being ridden or pulling what someone described to me as “Wimpoles attractive carriage”.